Holli Harman is the Chief Financial Officer at the Appalachian College of Pharmacy. 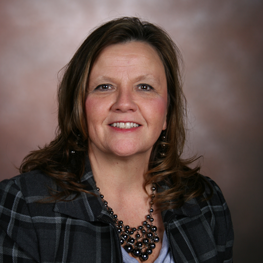 Mrs. Harman is a Buchanan County native and a 1981 graduate of Garden High School. She received her B.S. in Business Administration from Concord University in Athens, WV, in 1985, with a concentration in accounting. Holli has worked in both the public and private sector of accounting. Her career began just after college with the CPA firm of Cook Associates in Richlands, VA. Prior to joining ACP, she was the Accounting Manager for Cumberland Mountain Community Services for 8 years. Mrs. Harman resides at Keen Mountain with her husband, Codie. She has two married children, Nick and Sarah. She enjoys participating in school and community activities. She is the treasurer for her church parish. Holli’s favorite activities include spending time with her family, going to the beach, and reading.